Solwata surf camp is located in the spectacular Lau lagoon amidst unique and ancient man made islands and stilted villages, fringed by a massive reef system on one side and spectacular mountains on the other. You will be staying among a living cultural and environmental treasure. It’s also an incredible surfing playground with more than a dozen world class reef set ups. 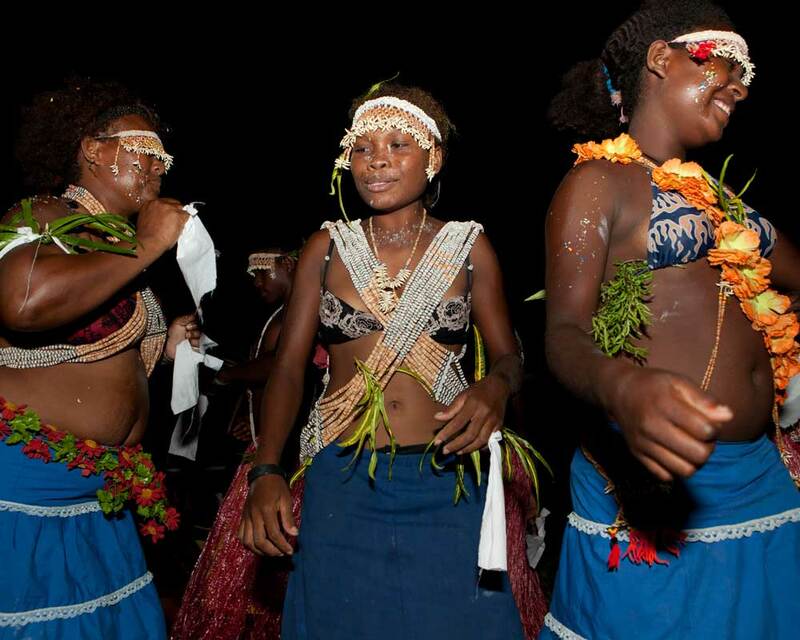 Our hosts are the ‘Solwata’ or Salt Water People, the ocean focussed culture of Malaita. This is our main north shore destination island with over a dozen exclusive world class left and right breaks to surf that cater to a full range of swell, wind and tide conditions as well as surfing levels and styles. We strongly believe the Solwata surf camp delivers the best and most unique surf travel experience available in the Solomon Islands. We will aim to meet all your needs and deliver a trip that for many will be one of, if not the best, surf and travel experience of their lives. Our main north shore destination island has over a dozen exclusive world class left and right surf breaks. The surf season in the Solomon Islands is October to April. Swell is usually two to six feet but can be bigger. At the destination area of Surf Solomons the best swell comes from long period north Pacific lows. We offer a surf zone with a very wide swell window open to the full range of North East to North West and East to South East swells. Its a rare day that we cannot find a quality wave to surf. There are no crowds and our groups will be the only people surfing the area. a beautiful river mouth wave breaking on river stones ideal for long boards and fish type boards. Likened to Noosa point for its perfect long boarding shape. As featured in upcoming Pacific Longboard magazine. Its a consistent spot that almost always has a wave. Likened to HT’s in the Mentawis. This wave was a new discovery in the 2009/2010 season. A fast barreling wave all the way down the line – barreling from 2 foot upwards – we don’t yet how big this wave is surfable. This is a serious wave for advanced surfers. Named for the nine second barrels observed here. A consistent right breaking close to a very scenic village. Expect the whole village to come out and join in surfing on bits of timber! A fun wave. A very consistent right hander that breaks on incoming tides almost every day. Its a short, fast wave with a number of walling sections and an easy barrel. Very fun when its small and even when the swells up it does not get as heavy here as some other nearby breaks. This reef passage is a real swell magnet and there is pretty much always a wave to be had on the incoming tide here even if its flat everywhere else. It breaks more like a beach break with shifting left and right peaks. On a good day there can be some fun, peaky and fast waves. Its surfable up to 4 foot. On the inside is a magic hollow left called Beacons that breaks when the swell is up and is offshore in conditions when many other waves are blown out. Tai is consistent and is often a wave surfed on our trips but rarely photographed because of the need to drop surfers off behind the wave and then park the boat on the inside of the lagoon. It can be a long fast right hander and often has left peaks as well. Most of the time there’s plenty of water on the inside to paddle into the boat when finished. This is considered the premier wave by many who come on our trips. In the right conditions its a fast, powerful, world class right hander, has barelling sections and becomes a heavy slabbing wave detonating on the reef over 6 foot. Smaller than that and its a fun, fast and joyful wave to surf. Catches all available swell and is often bigger than other breaks in the area. A fun left that works on more easterly swells. Is a long peaking left which at its best goes through 4 distinct bowling and then reforming sections. At mid to high tide this is an easy walling wave that can handle large swells. On low tide this is a heavy, slabbing wave. When its big this is a very serious wave. From camp we have our own 40HP 4-stroke Honda and Yamaha outboard motor boats for daily access to the off shore surf breaks and moving between camp and village satellite stays. Our boat has a canopy for shade and our local knowledge of each area is essential to get to the outer reefs and find the best waves available. It is fast and safe and all our packages include daily boat usage with fuel at no extra charges. The local geography means even in rough conditions we can travel safely inside the lagoon. On tour all meals are included from when we pick you up through to when we get back to Honiara. Delicious, organic food is provided. This is based on fresh local ingredients from local organic farms and small scale fishermen, cooked with a mix of traditional and outside influences. Many of our clients have commented that the tour was like a ‘gourmet tour’ and it was a very unexpected surprise to them to have such good food in such a remote area. During the tour we take you for a few traditional feasts put on by women’s groups in the villages. You will experience the ‘motu’ and need not worry we can cater for vegetarians and other dietary needs so let us know. Rural Solomon Islanders live an eclectic mix of traditional and more modern ways. Most are subsistence farmers and fishermen – growing their own organic food, fishing and selling what they have extra as surplus in local markets. They also grow some export crops like coconuts and cocoa – a tenuous connection to our global economy despite their remoteness from it. In the villages there are no roads, no telephones, no shopping centers, no access to electricity, very limited use of fuel and little presence of any kind of government. Yet despite the lack of modern conveniences these communities are well organized, provide their own services, maintain beautiful villages and have a very rich and diverse culture. Local people have a rich knowledge of and make practical use of their environment – their forests, land, gardens, reefs and ocean. Most houses are made in the traditional way from materials such as round poles and sago palm thatch. They are beautiful, cool and comfortable. Villages range from secluded hamlets to manmade ancient artificial islands in the lagoon. While this beautiful environment and rich culture is fascinating for us as outsiders, local people face many challenges. The lack of services, such as very limited education and health, and the difficulty associated with getting to urban markets means that cash incomes are very low. Solomon Islanders aspire to improve their lives. At present they have few options and often resort to selling their resources in an unsustainable way through logging or migrating to urban shanty towns in the hope of creating a better life.